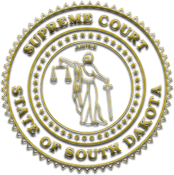 The Fourth Judicial Circuit Court is served by four circuit court judges, two law-trained magistrate judges, and court clerk magistrates in each county in the circuit. Assisting the presiding judge is an appointed circuit court administrator and a chief court services officer. Circuit administrative offices are located in the Meade County Courthouse, 1425 Sherman Street, Sturgis, SD.